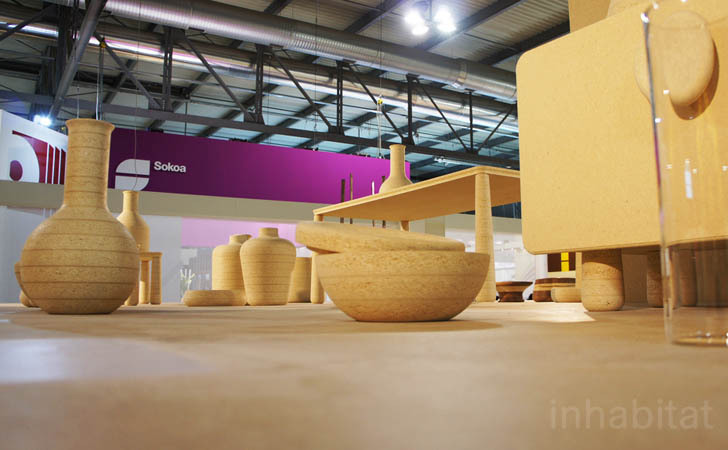 While the <a href="https://www.inhabitat.com/milan-furniture-fair">Salone Internazionale del Mobile</a> celebrates its 50th anniversary this year, the 14th edition of SaloneSatellite, “50+50 Projects – Designing the Future,” challenges its young desingers to give us a sneak peek into the next 50 years of design. From idealistic and ambitious designs with social agendas resolute on saving the world, to the more individualistic, tongue-in-cheek creations designed to help save one’s sanity, the sustainability factor was through the corrugated roof at Cargo 5 this year! For Italian designer, <a href="http://www.lorenzodamiani.net/">Lorenzo Damiani</a>, saving resources is his mission. 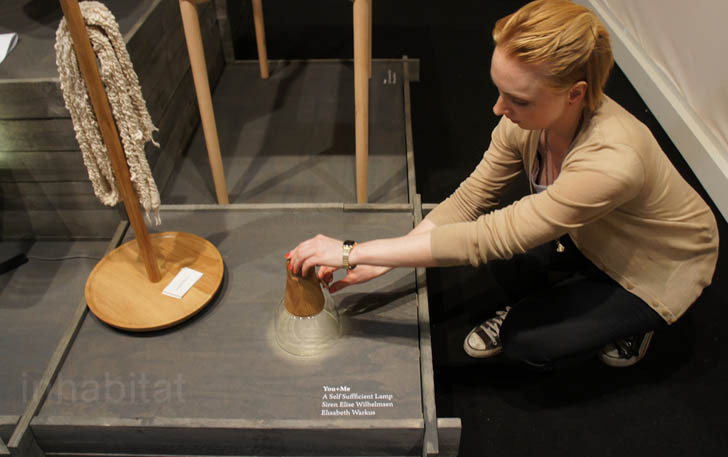 Damiani’s remarkable “New Life” installation, made entirely of pressboard, looks at how we perceive <a href="https://www.inhabitat.com/materials">materials</a> and associate them with a value instead of looking at all of our resources as equally valuable. When you look at all the wonderfully designed pressboard objects, his message resonates instantly. Leave it to New Zealander <a href="http://go.redirectingat.com/?id=2748X590349&amp;xs=1&amp;url=http%3A%2F%2Fwww.rebeccaasquith.com%2F&amp;sref=http%3A%2F%2Finhabitat.com%2Fdesigntrees-honeycomb-inspired-nectar-lamp-is-100-recyclable%2F">Rebecca Asquith </a>to create the “<a href="https://inhabitat.com/designtrees-honeycomb-inspired-nectar-lamp-is-100-recyclable/">Nectar Lamp</a>” with its implied reference to the strength and beauty of the honeycomb structure. 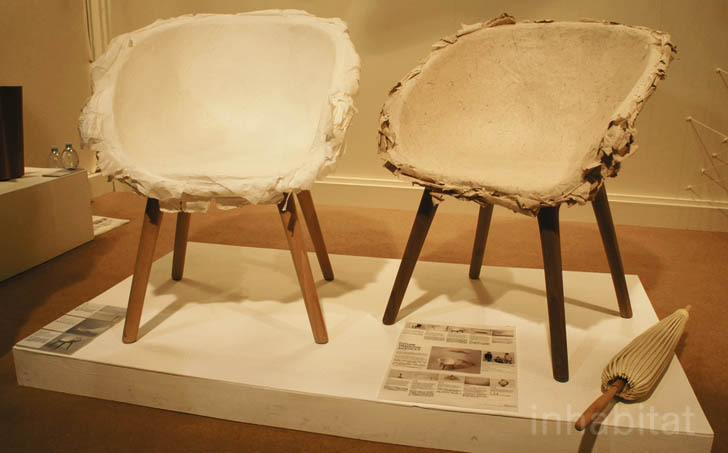 Asquith and her Kiwi counterpart, Tim Wigmore, founded <a href="http://www.designtree.co.nz/">Designtree</a> in 2010 to “design beautiful products that will resonate deeply with people and stand the test of time.” Though sustainability and beauty, this design duo uses recycled and repurposed materials in all of their products. 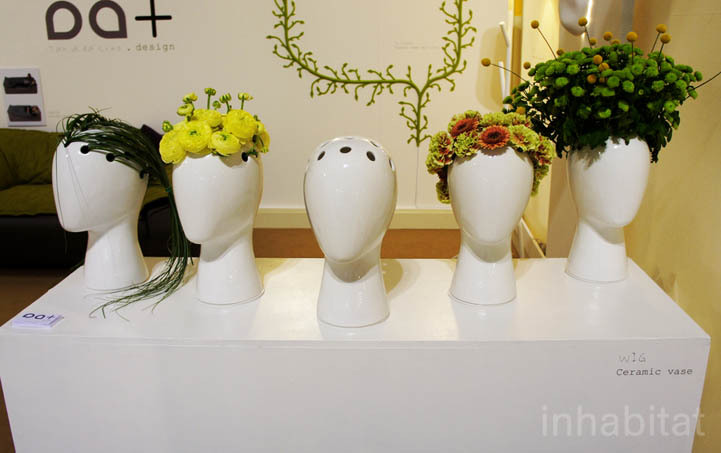 Inside these faceless ceramic busts sits a ceramic vase in which Tania da Cruz of da Cruz Design not only encourages your inner green thumb, but also your inner hair stylist to create a “Wig” of your own. I overheard Marcel Wanders praising this young Milan-based designer for her nature and human inspired designs. Just like the wind-up toys of our youth, these object have reappeared only now with a more mature and practical function. 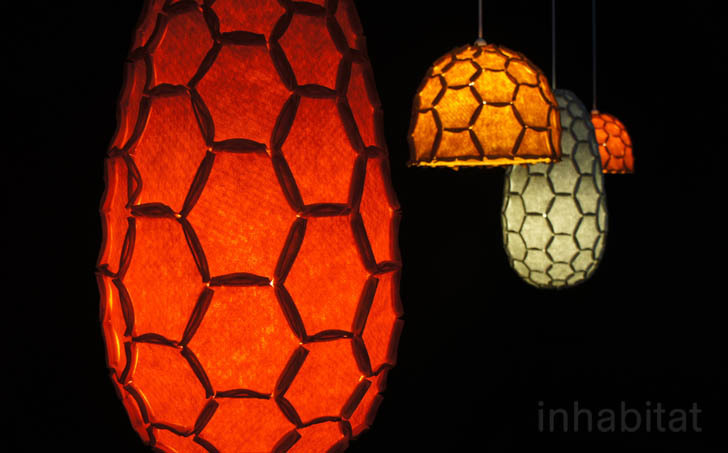 The “You + Me” self-sufficient lamp from Siren Elise Wilhelmsen and Elisabeth Warkus of <a href="http://jenkins-wilhelmsen.com/">Jenkins &amp; Wilhelmsen</a> take the same idea of pulling a cord to create <a href="https://www.inhabitat.com/energy">energy</a> to power the device. Each piece is simple yet beautifully designed from wood and glass, and can be hand-held or hung as a bedside light source. 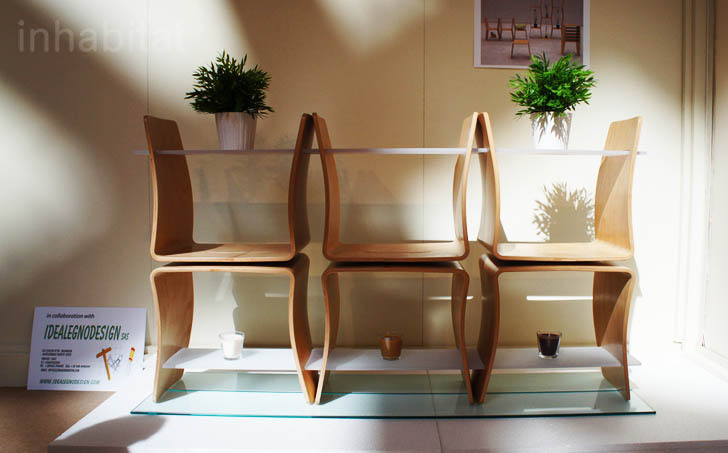 Modularity is the key component behind the cleverly named “WoodU” furniture system from Italian designer Alex Nalesso of <a href="skalodesign.com ">Skalo Design</a>. The locally sourced bent plywood pieces can be added or subtracted to serve multiple functions depending on the users need, ranging from a stool, or a side table. 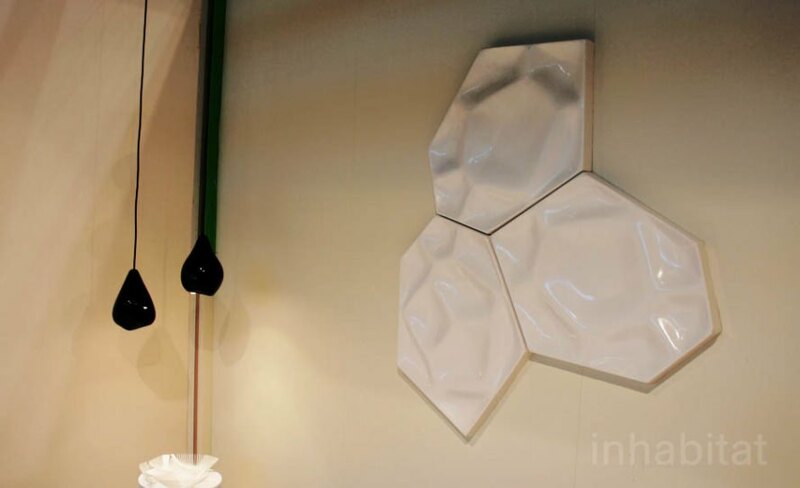 The pieces can also be stacked to become a room partition or a shelving unit. Simply put, “WoodU” is sustains life through smart design. Looking up into the curing powers of <a href="http://www.tarazistudio.com/">Ezri Tarazi</a> and <a href="http://www.bezalel.ac.il/en/">Bezalel Academy</a> students’ “Ultra-Gamma” installation gave many exhibit goers the chills. 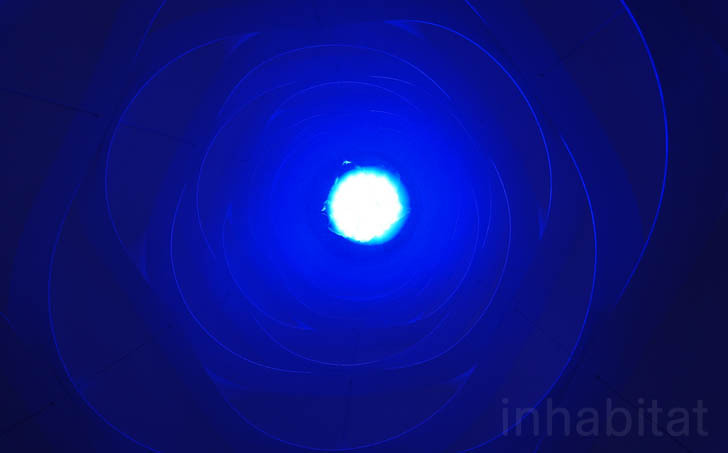 The installation imagines a future 50 years from now in which yet to be discovered frequency waves will heal just as Wilhelm Rontgen’s discovery of the x-rays revealed the unseen over a century ago. The work of Santiago design collective, <a href="http://www.gt2p.com/en/">gt_2P</a> (short for great things to people) inspire not only in their precociousness and play with material and form, but with their social objectives, including helping artisans preserve their trade and protect the centuries-old teachings of local craft from extinction by the hands of mass production. 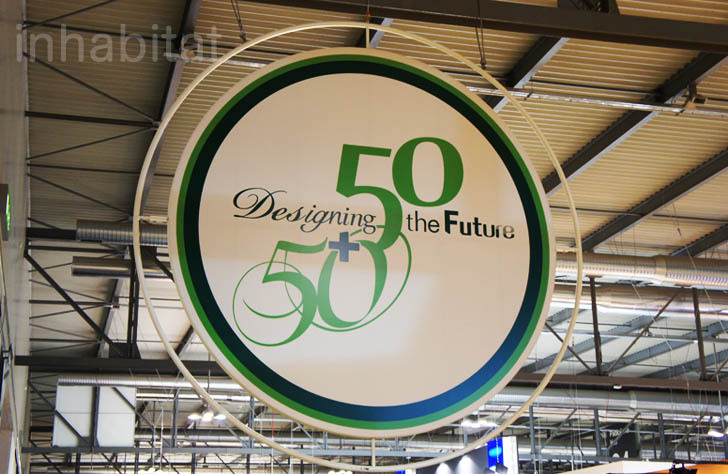 “Future Tradition” is the brainchild of <a href="http://www.innovo-design.com/?p=5">Jovana Chris Lei </a>of China. Influenced by 2,000 year old Chinese umbrella craft, the trio are using traditional and <a href="https://www.inhabitat.com/materials">sustainable materials </a>and construction methods to create seemingly delicate yet astonishingly solid furniture in the form of tables, lighting, and chairs. Incredibly tactile, these chairs have created a new tradition all their own. Spanish designer <a href="http://rubcn.endekos.com/">Ruben Inglesias</a> takes resourcefulness to an entirely new level with his line of products made of discarded magazine paper and the wooden shipping pallets. 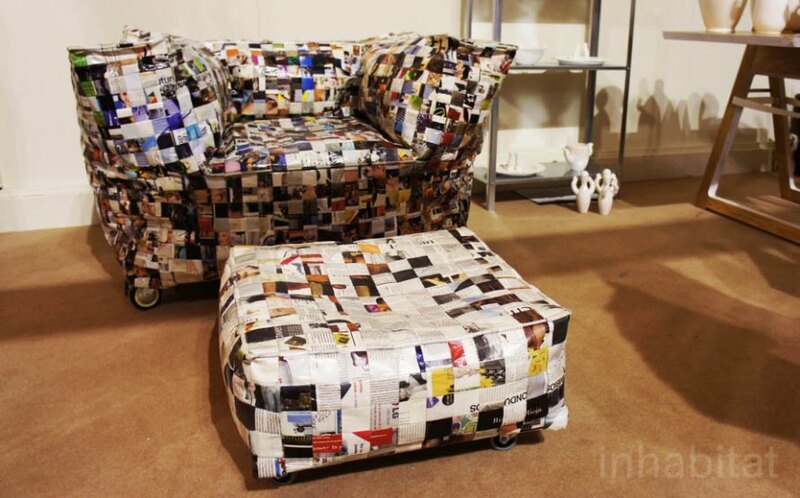 His Sofa Away Chair and Ottoman have been stuffed with crumpled up paper and are surprisingly comfortable. 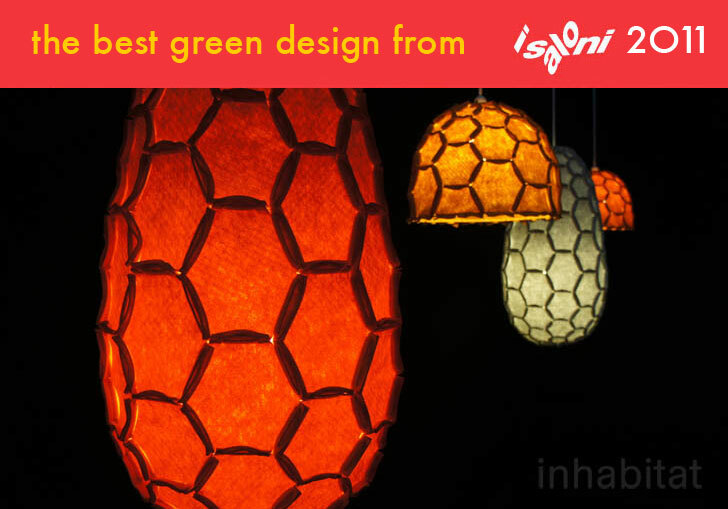 The piece is one more splendid example of how materials can be repurposed. 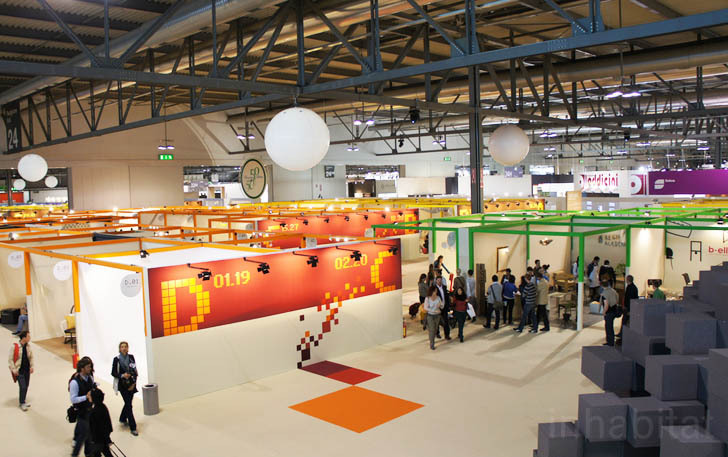 While the Salone Internazionale del Mobile celebrates its 50th anniversary this year, the 14th edition of SaloneSatellite, “50+50 Projects – Designing the Future,” challenges its young desingers to give us a sneak peek into the next 50 years of design. From idealistic and ambitious designs with social agendas resolute on saving the world, to the more individualistic, tongue-in-cheek creations designed to help save one’s sanity, the sustainability factor was through the corrugated roof at Cargo 5 this year!